Hanuma Vihar scored his maiden half-century on his debut match and in the process joined the elite league of Sourav Ganguly and Rahul Dravid. 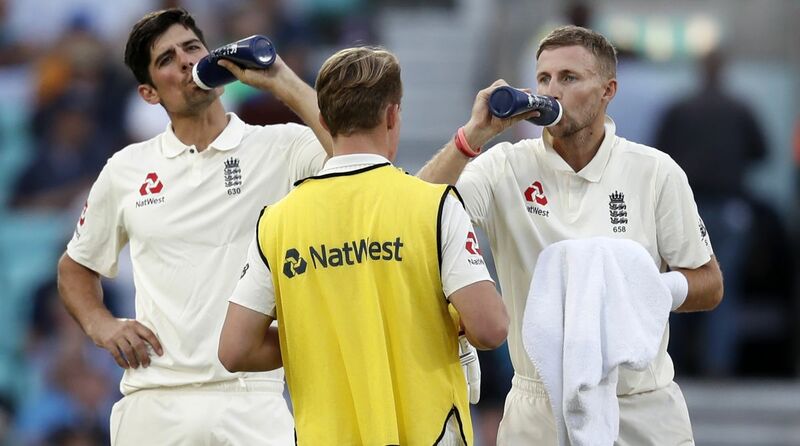 Though the third day of the fifth Test match was balanced between both sides, Joe Root-led England cricket team had taken a healthy lead of 154 runs at the end of the game at Kennington Oval, London. Resuming India’s overnight innings 174/6, all-rounder Ravindra Jadeja and debutant Hanuma Vihari put up a valiant fight to take India to 292 for 10. After India were bowled out, hosts scored 114 runs for loss of two wickets in their second innings. Former England skipper Alastair Cook, who is playing the last innings of his career, was unbeaten at 46 and he will aim to make it big on the fourth day and bow out on a memorable note. On the fourth day of the final Test match, while India will hope to take a few early wickets and restrict England from making it big. On the other side, Joe Root-led side will aim to score big. England’s record run scorer in the longest format of the game, Alastair Cook on Sunday walked out to bat for the last time for the English team. And with the way Cook started his innings, it seems he is solely focussed to end it on a memorable note. Cook scored a magnificent 71 runs in the first innings, and is following up his performance with an unbeaten 46 runs in the second innings. Cook had scored a century on his debut against India at Nagpur in 2006 and if he would get a hundred at Oval, he would end his career just the way he started. Debutant Hanuma Vihari impressed the spectator on his debut match against England. Vihari scored a gritty 56 runs on Sunday and helped India fight back in the final Test along with Ravindra Jadeja. Before the start of the final Test match, Virat Kohli was heavily criticised by fans for picking Vihari ahead of Karun Nair. However, Vihari had rewarded his skipper’s faith with his patience batting. 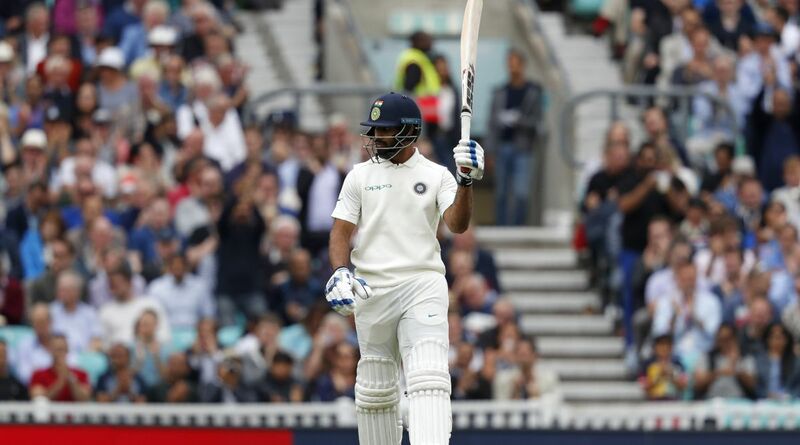 Vihari had become fourth Indian to register a fifty-plus score in a Test debut innings in the English nation. Other than Vihari, Rusi Modi (57* in 1946), Sourav Ganguly (131 in 1996) and Rahul Dravid (95 in 1996) are the only players to achieve this feat. 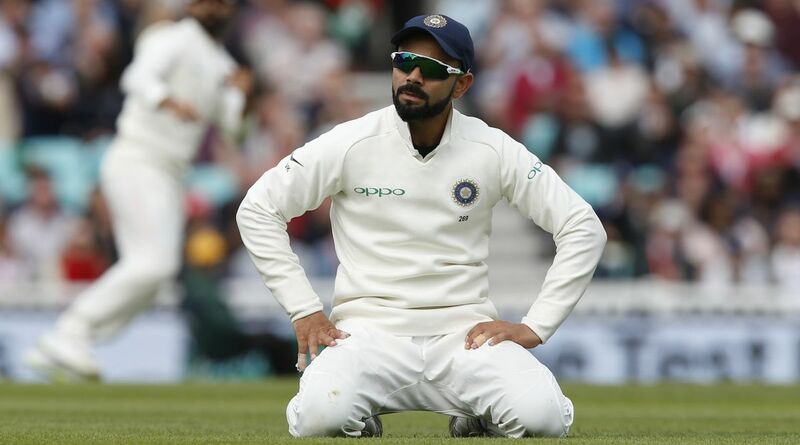 The one major difference between India and England in the ongoing series was while England all-rounders were terrific with both bat and bowl, the visiting side’s players failed to make an impact. Hardik Pandya was preferred by skipper Virat Kohli in the first four Test matches, but barring the third Test he failed to make an impact. In the opening Test, Pandya was wicketless and scored 53 runs combined in both the innings. In the next, Pandya scored 37 runs and bagged three wickets. In the third Test, Pandya was impressive as he took six wickets and scored 70 runs. In the fourth Test, Pandya once again disappointed as he grabbed just one wicket and scored four runs in both the innings. 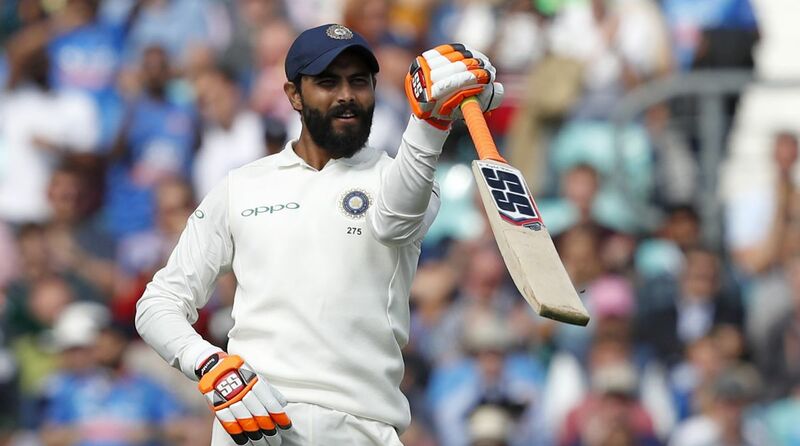 In the fifth Test match, Ravindra Jadeja was included in place of Hardik Pandya and he scored an unbeaten 86 runs in the first innings and has taken five wickets so far. After Ravindra Jadeja’s exceptional performance, it seems as if he was the all-rounder India were looking for. Skipper Virat Kohli is having a terrific time with the bat in the ongoing five-match Test series between India and England. 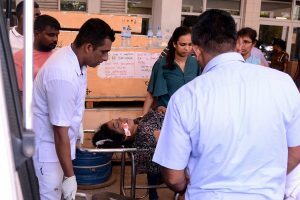 But it seems he is having a very terrible time when it comes to his decision making, especially for the Decision Review System(DRS). On the third Day of the ongoing Test match, Virat Kohli used DRS twice during the English innings and got it wrong both the time as the impact off the ball was outside the stump. It seems the current Indian team have no problem in going against the umpire’s decision and to ask for DRS but what’s the point of DRS if it’s wasted on wrong balls? Joe Root’s team have taken the lead of 154 runs at the end of third day’s game despite Ravindra Jadeja’s batting heroics. 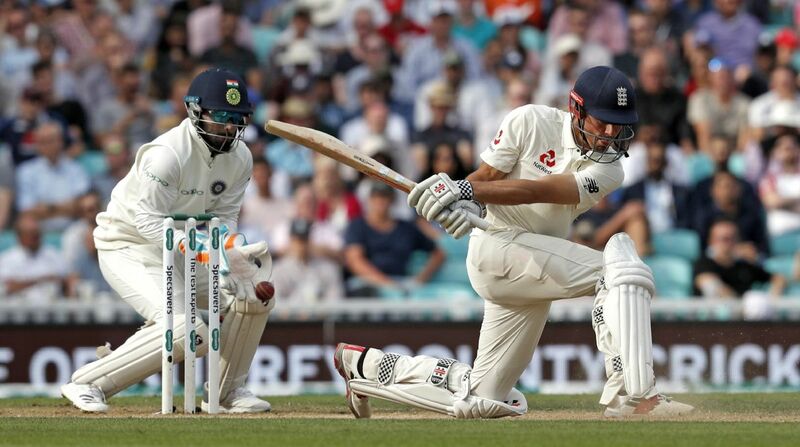 Playing his final Test, Alastair Cook looked confident as he walked to bat on Sunday and helped England take the upper hand in the fifth and final rubber against India. Batting in the second innings, England’s start was troubled by Mohammed Shami as he removed Keaton Jennings in the 13th over for 10 runs. 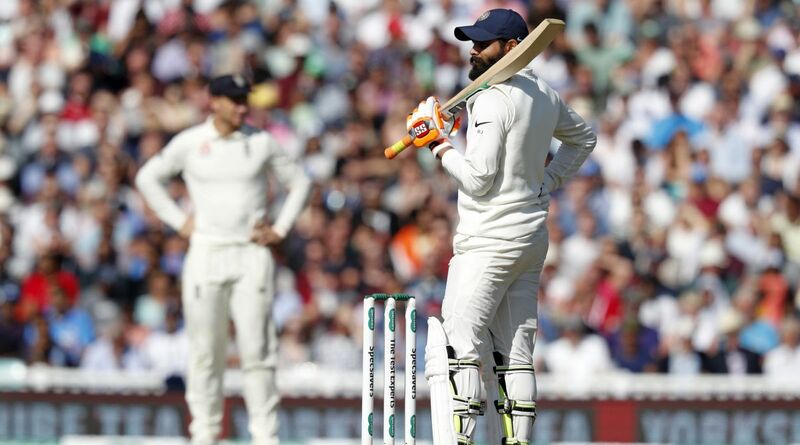 Moeen Ali, who scored a patience fifty in the first innings, was removed early without further damage by Ravindra Jadeja. But after that, skipper Joe Root and Cook took English innings forward and ended the day at 114 for 2.